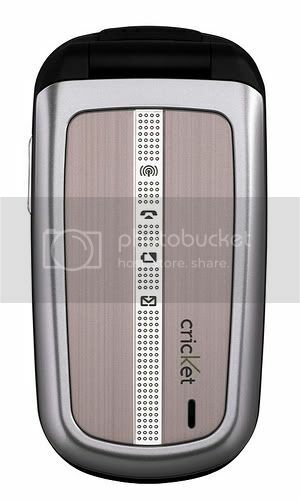 Cricket Communications has unveiled the UTStarcom CDM7126, the latest addition to their mobile phone line. The UTStarcom CDM7126 is the first mobile phone to operate on the AWS spectrum band. The AWS spectrum band was just recently auctioned by the FCC last 2006 and was mainly designed for 3G but wireless carriers are free to use it anyway they want. The UTStarcom CDM7126 is a clamshell phone with a sleek metallic finish. This device also has a Bluetooth capability and voice recognition. This device is now available in Cricket retails stores in Tulsa, Oklahoma, rest of the nation to follow. Thanks to hiplayersimm for the picture. The picture is NOT what mine looks like. There is a folder for pictures in the phone, but it is not accessible from any computer. When connected to a USB connection it asks for the product CD which comes with the phone, but the phone does not come with a CD and UTStar.com does not provide any drivers for this phone model. I am a UTStar registered customer. I cannot access my phone. Ask for a CD when purchasing the phone or ask if the files are accessible from any computer. The manual does not say anything about access to the phone, but only through their web program in the phone for you to "purchase".